We offer you the following freeware utilities (desktop items are Windows only). Click on the images for a screen shot or link to page. For any of these programs, just send us an email. 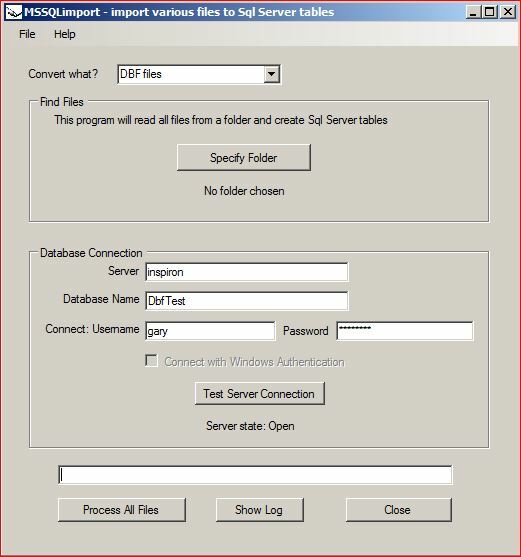 MSSQL import - let's you export a variety of data files (xls, dbf) to Sql Server. 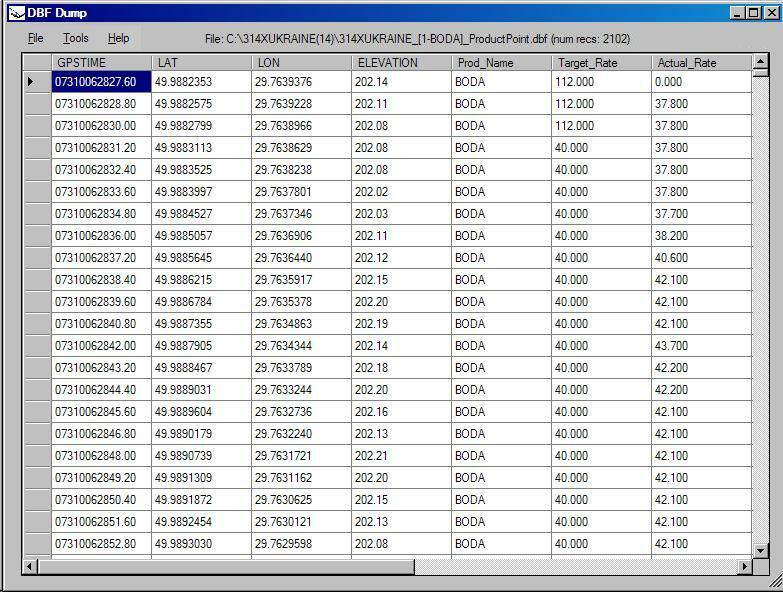 Builds tables based on dbf file name or xls worksheet name and automatically create columns. LunaSol on the web - Pick your location or enter the lat/lon, choose the time zone and, voila! Moon rise/set, sun rise/set times are presented for any date you want. Have fun! ShpDump is a desktop utility that lets you see ESRI shapefile binary values. If you have the need to see what binary values are in your ESRI .shp, .shx, .dbf or .prj files, this could be helpful. No grahics here, this is a viewer that lets the user see all the binary information behind the ESRI architecture. ShpDump on the web. This is a web page to provide the same results as the desktop version. If you have the need to see what binary values are in your ESRI .shp, .shx, .dbf or .prj files, this could be helpful. Looking for a web service example? Creating a web service with Visual Studio is not hard - the MS examples and templates work fine. But when it comes to deploying on your host things get confusing. 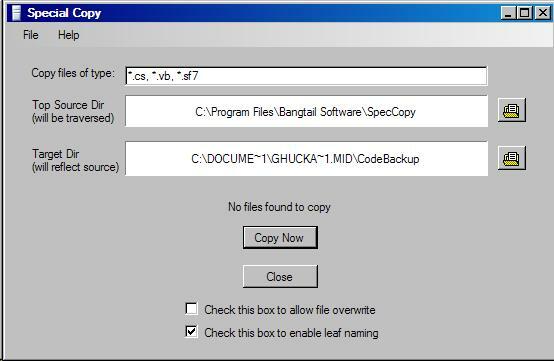 Download this zip file for example code. Feel free to email me if you have questions. 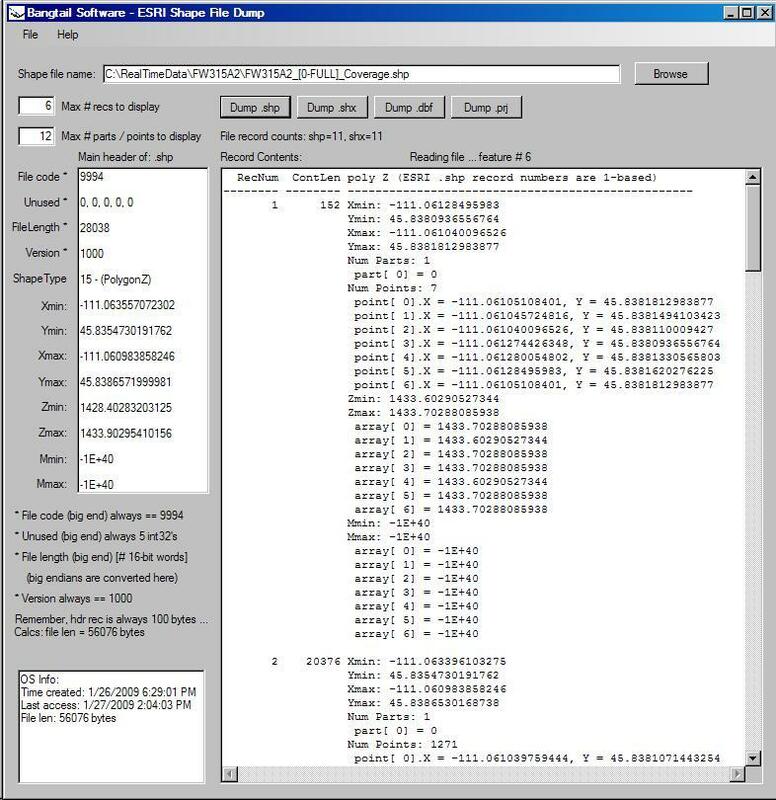 DbfDump is a utility to dump contents of dbf (dBase format) files. These "old fashioned" database files are still in wide-use and this program is useful for viewing the contents of a dbf file. SpecCopy - a "special copy" utility. Choose file types, source dir and easily copy to output device with or without dir structure in place. We have a plethora of open-source C# software modules to help you with GIS, KML, shapefiles, shapefile output, dbf files and assorted database interfacing classes. Just email us and ask!